Heading out into the canyon country desert, for mountain biking, hiking, jeeping or canyoneering? It can be tempting to rely solely on an electronic map for navigation, but take a paper map with you. You’ll never regret having it. And on the other hand, you very well might regret not having it. Batteries can run out, cell phone coverage is often non-existent, canyon walls block GPS satellites, digital displays can be hard or impossible to view in high-contrast-light situations, or in an intense downpour. And, less obvious: cell phone and other digital displays are small. Even with the best technology, 3D views and zooming out wide, paper maps can do one thing that is still impossible to do on small screen digital displays. Paper maps can unfold. Sometimes, when you find yourself lost, what you need most is to see “the big picture” and “the little picture” all at the same time. With a paper map you can unfold it, lay it down on the ground or a handy boulder, and it shows everything all at once, in detail. GPS enabled navigation apps make the above technique seem not only old-fashioned (downright quaint) but also far less accurate. And it’s true, they are very accurate — if your device still has juice and is able to acquire its required number of satellites. But you would be surprised how often GPS signal gets blocked in canyon country. 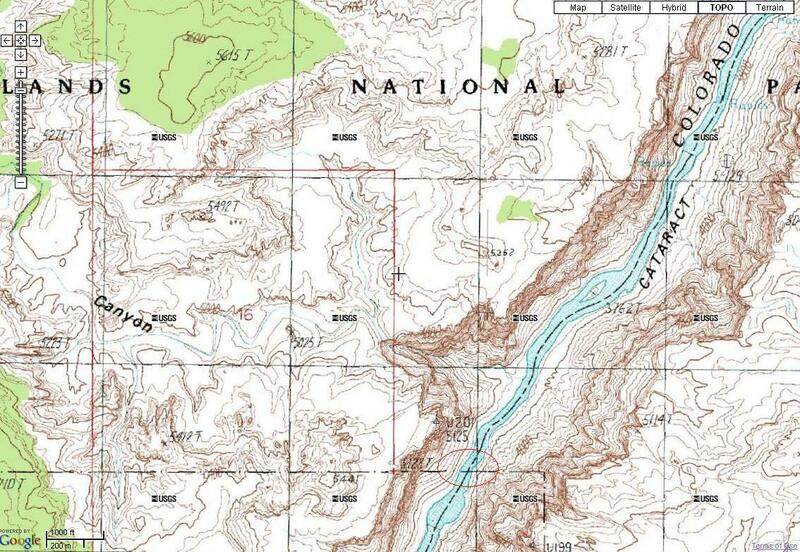 If you don’t already have the paper maps for your canyon country explorations, an excellent place to purchase them is the Moab Information Center, 25 E Center St, Moab, UT 84532. They have every conceivable type of map for the region, and most are already opened and laid out on a table for you to view.